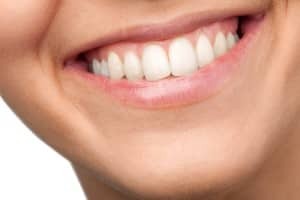 Do You Take Your Gums For Granted? You hear a lot about tooth care, and tooth brushing and taking good care of your teeth. Don’t let your gums get lost in all the fuss. Many habits that care for your teeth do also help your gums. Gentle brushing at the gum line, for example, helps keep that area free of tiny food particles, and the sticky film of plaque. Good preventative care of your gums, as well as your teeth, will pay off in fresh breath and fewer dental issues throughout your life. There are a number of reasons that breath can have an odor. Some short-term breath issues can be solved by a sugar free breath mint. However, longer term breath issues may indicate more than onions or tuna fish for lunch. They can indicate problems in the teeth or gums. It is impossible to keep tiny bits of food from migrating under the gums as you eat. Brushing helps clean the teeth and remove plaque. Flossing is particularly important to clean just under the area where the tooth meets the gums. By dislodging food particles, you prevent bacteria, enzymes and decay from gathering in that area and leading to unpleasant odors (and bigger problems). Use a soft toothbrush and gentle pressure to clean your teeth and gum line. Electric toothbrushes work well for many people, and may have a helpful, built-in timer. Don’t scrub at the gumline, as this may cause the gum to recede, exposing more of the tooth. Use dental floss to gently clean under the gum line. Use a long enough strand that you can use a fresh section for each tooth. There is less chance of spreading any infection from one tooth area to another. Revisit your dental care routine if you start to see redness, swelling, tenderness or bleeding at the gumline. These are all early signs of gum problems. Correcting or changing your home dental care routine might help. Please give us a call or come for a visit if you notice any pf these changes.